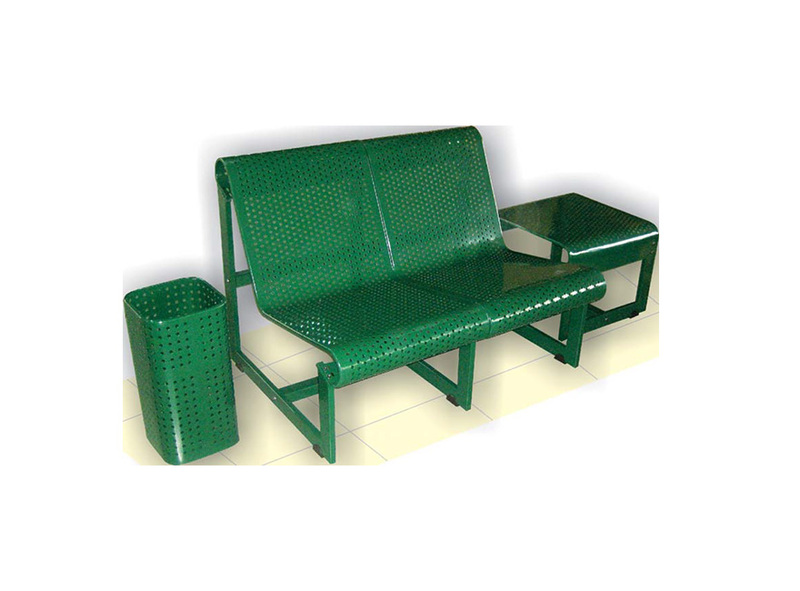 Seating kits are produced of galvanized metal sheet, protected against corrosion with high quality electrostatic painting. Different colors are available upon request of the client. The modular design allows the following versions: one, two, three seats etc.